RRResearch: But it's MY figure! 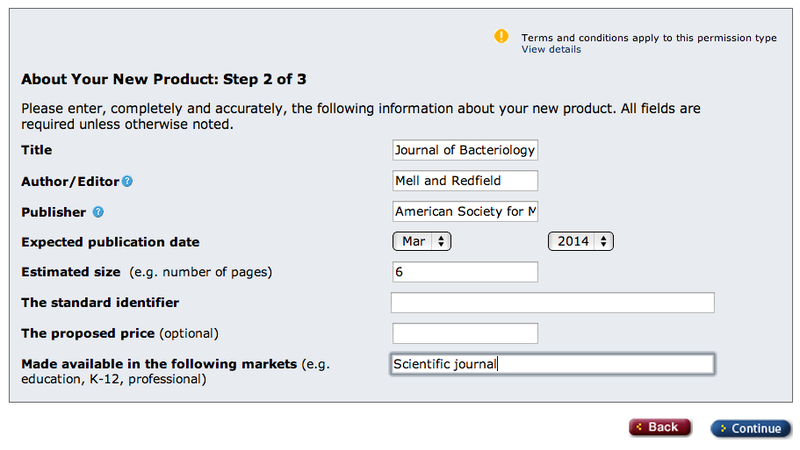 The postdoc and I have a minireview coming out in an ASM journal, and we're at the 'permissions' stage. One of the figures is an explanatory diagram I drew for this article (figure on the left below). 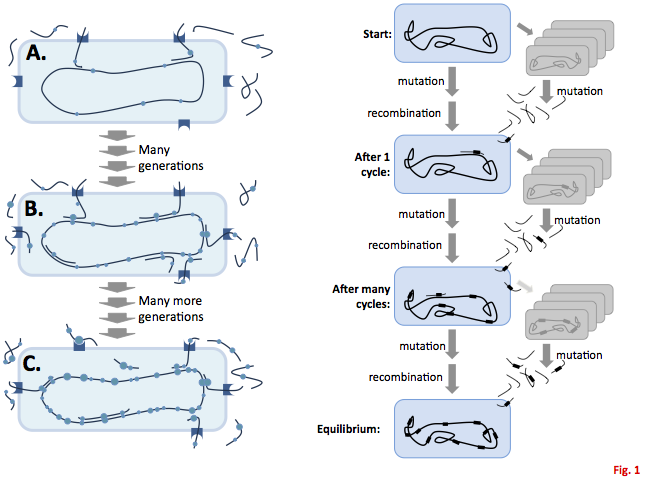 It's similar to an explanatory diagram I drew for an article we published in Genetics a few years ago (on the right below). Because one of the reviewers asked if our minireview figure was adapted from the published figure, in the Figure Legend we wrote '(adapted from (91)' even though it wasn't. 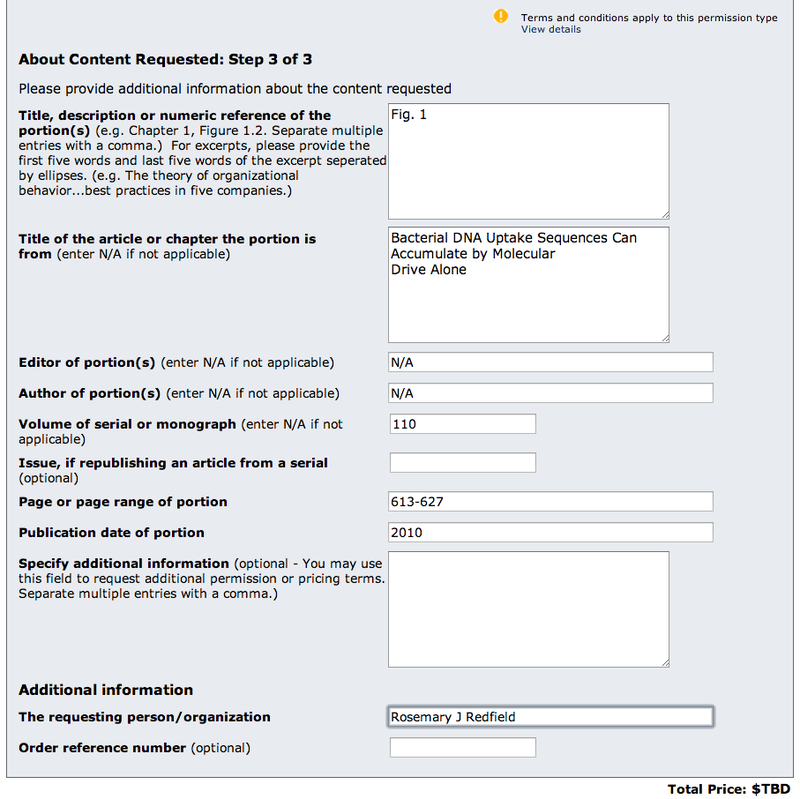 Now the Production Editor is asking us for the formal permission from Genetics to republish this figure. I explained that it wasn't really adapted from the published one, but because the figures are similar she recommends that we request permission. 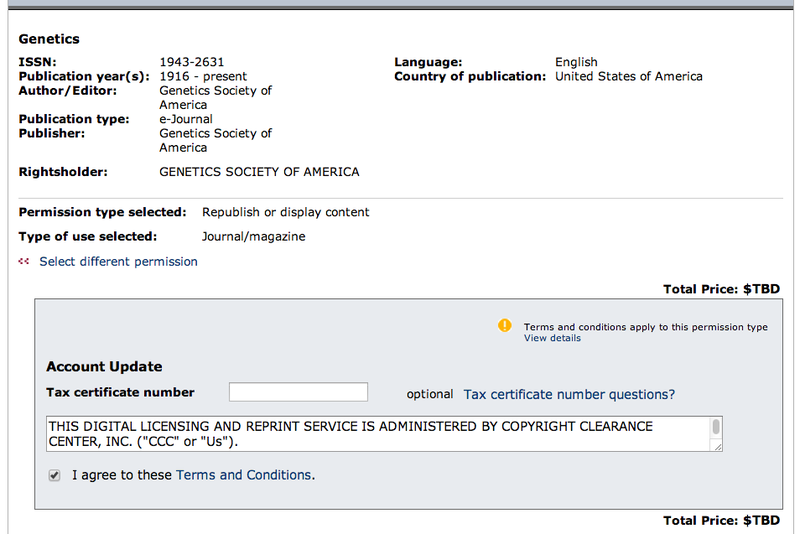 So Genetics has a 'Get Permissions' link beside each article, and that sends me to the Copyright Clearance Center, where I specify that I want permission to republish their content in a journal. 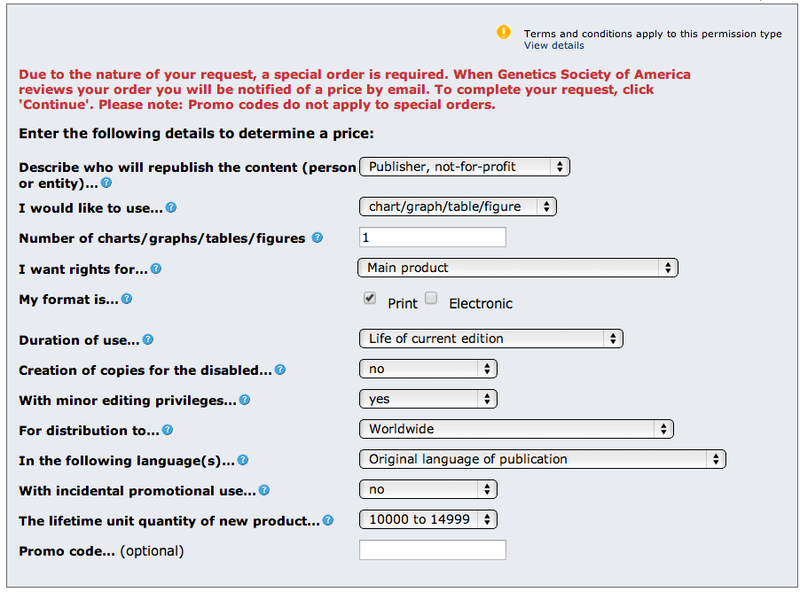 I click on Price & Order (not a good sign). That takes me to another form, asking me questions I don't understand ('Duration of use'? 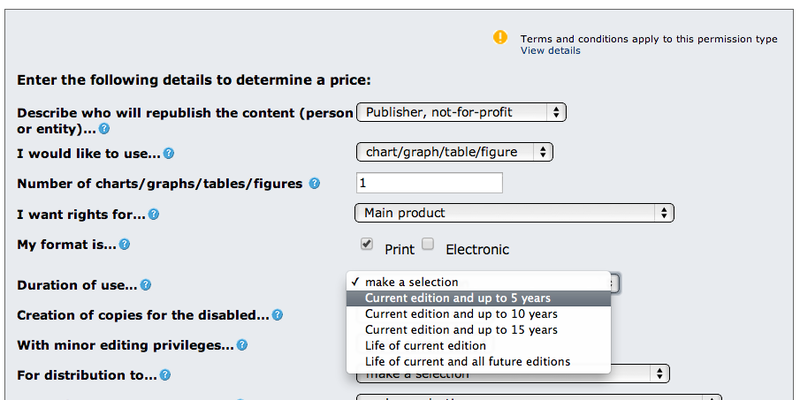 'Lifetime unit quantity'?). Whatever. I click on 'Get Price'. I click on 'Continue'. 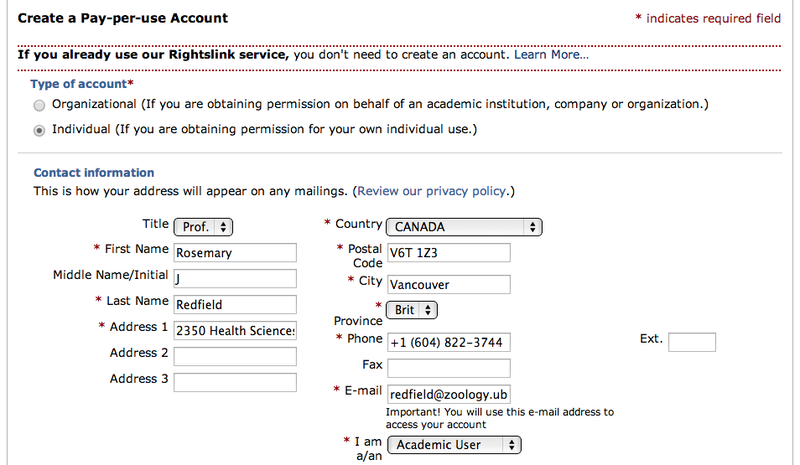 This takes me to a 'Login' page. Of course I don't have an account. I create an account. Now I log in with my account, but I don't see any record that they remember what I was asking for. So I do it all again. I click 'Add to Cart'. My order is not complete until I click 'Checkout'. 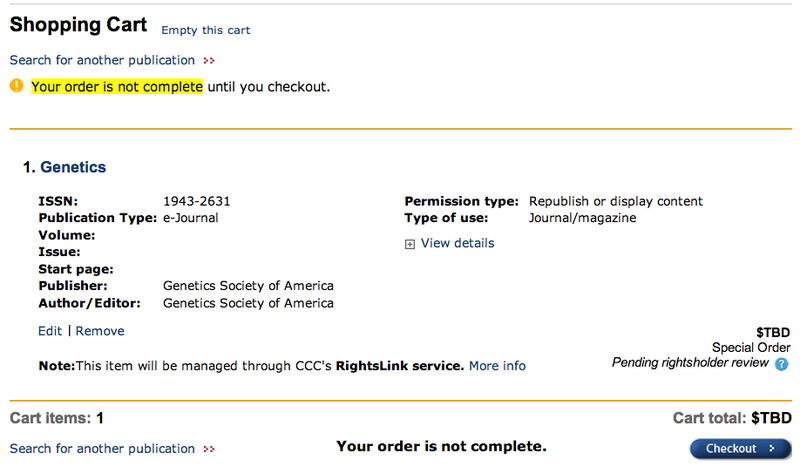 My order is not complete until I accept the Terms and Conditions. On the other hand, I just also requested permission to use a figure from our Nucleic Acids Research paper. Very quick and easy - permission granted immediately.